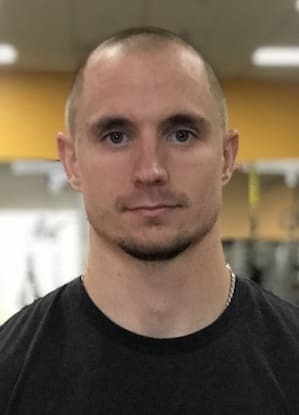 Chris earned his Bachelor’s Degree in Human Physiology (Exercise Science) from Indiana University of Pennsylvania and is a Certified Strength & Conditioning Specialist (CSCS) with the National Strength & Conditioning Association (NSCA). As a Fitness Professional, Chris enjoys working with ANYONE willing to put in the time and effort to achieve THEIR goals. Young, old, male, female, athletes or non-athletes – it doesn’t matter. If you believe in the process and willing to put in the work, you can achieve anything you want to. We all have greatness inside of us, it is Chris job as a fitness professional to help you find that greatness and your job to seize and conquer it. It starts with mindset – Mind over Matter. One thing that drives Chris is seeing people succeed and getting the understanding of what it takes, to truly change oneself regardless of the obstacles, limitations and excuses that initially may be holding individuals back.